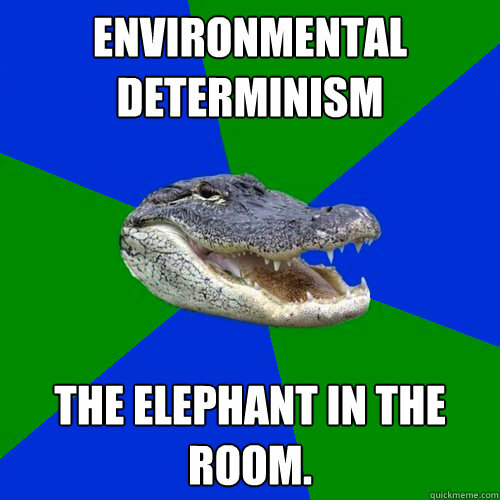 Environmental Determinism The elephant in the room. Haters gonna hate. 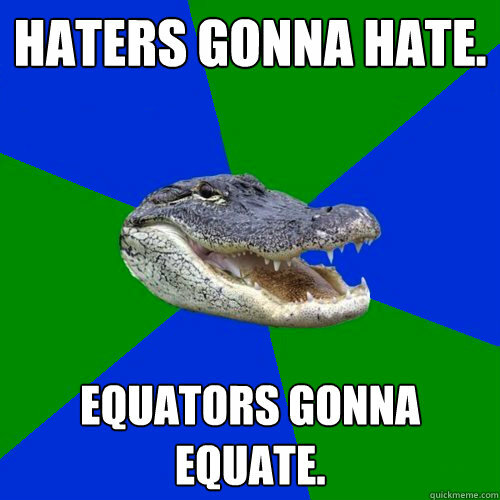 Equators gonna equate. 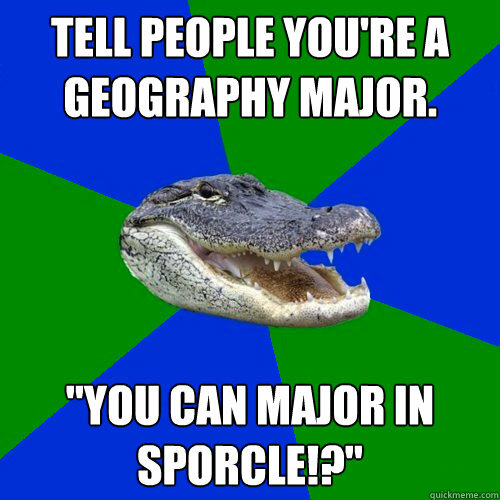 Tell people you're a Geography major. "You can major in Sporcle!?" 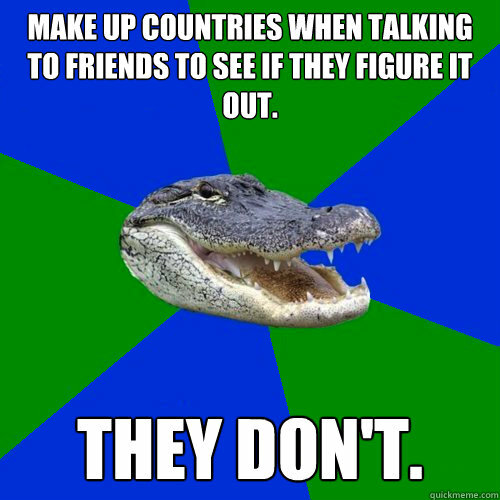 Make up countries when talking to friends to see if they figure it out. They don't. 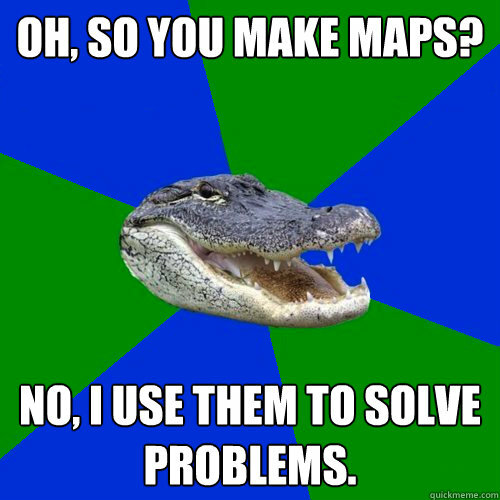 Oh, so you make maps? 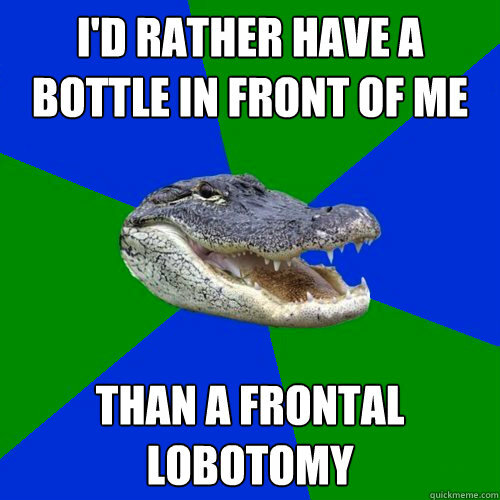 No, I use them to solve problems. Continue to gain followers for meme. 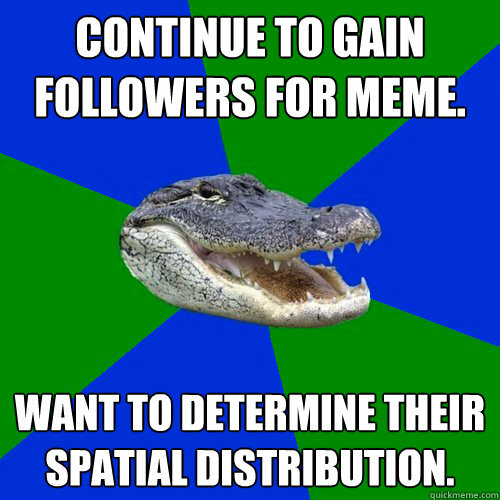 Want to determine their spatial distribution. 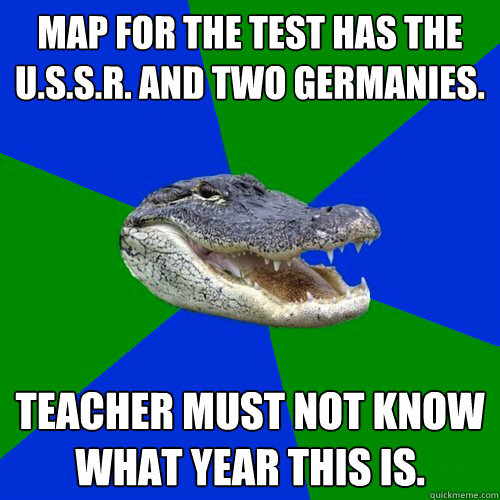 Map for the test has the U.S.S.R. and two Germanies. Teacher must not know what year this is. About to graduate. 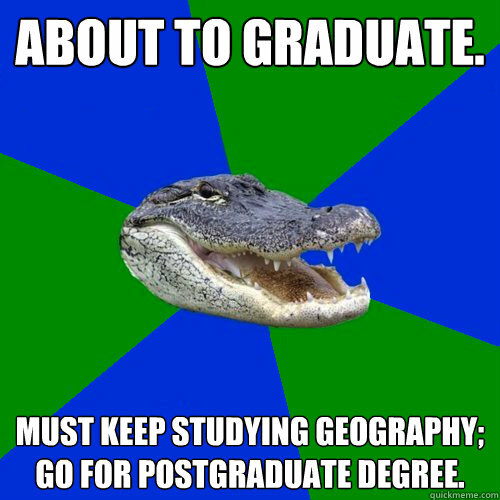 Must keep studying Geography; go for postgraduate degree. 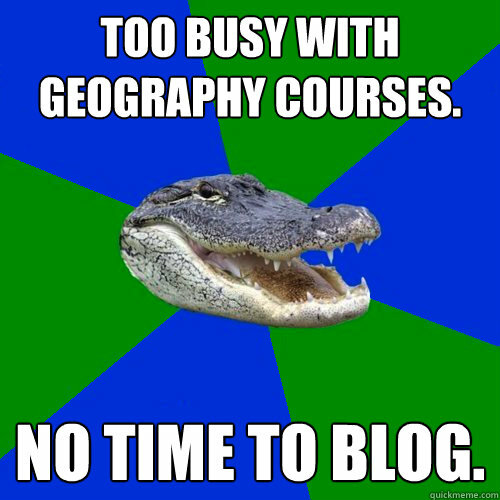 Too busy with Geography courses. No time to blog.